How as Bekauri elected to the position of Chairperson? 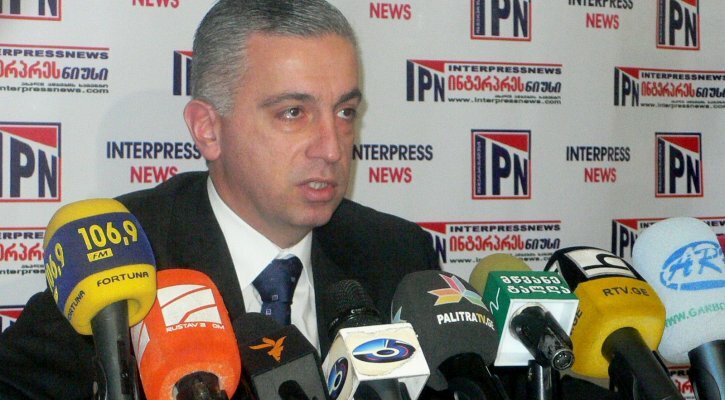 According to research conducted by Transparency International Georgia, the Chairperson of the Georgian National Communications Commission (GNCC), Kakha Bekauri, does not meet the academic qualifications required for holding the position of Chairperson of the GNCC. Kakha Bekauri has a qualification of the mathematician, while the law stipulates that a different academic degree is obligatory for serving as a member of the GNCC. Who can become a member of the GNCC? Kakha Bekauri was elected as a member of the GNCC in 2014 and as its chairperson in 2017. Bekauri’s academic qualifications had already come under scrutiny upon his presentation of documents to the President on his bid for membership of GNCC. Kakha Bekauri publically stated that his qualifications were in order and that cybernetics includes the knowledge of electronic communications. According to Article 9.6 of the Law of Georgia on Public Broadcasting, a candidate for membership on the Commission shall meet a number of qualifications, including a master’s degree or equivalent degree thereof in economics, public administration, business administration, law, electronic communications or journalism. Our analysis has shown that the diploma and retraining certificate (the copy of which is not sent at the administration of the President, but the existence of which was notified to the Parliament) presented by Bekauri do not meet the criteria established by the law. Kakha Bekauri is a well-known figure in the Georgian media. Throughout the years, he has worked in senior positions for various media outlets, including the Public Broadcaster, TV Mze and Maestro. Bekauri was also the director of Channel 9 TV, which belonged to the family of former Prime-Minister Bidzina Ivanishvili. After his tenure at Channel 9, Bekauri worked as a member of the GNCC throughout 2014-2017, and was elected as the chairperson in 2017. Notably, Bekauri is one of the highest paid civil servants in Georgia. According to his public asset declaration, from 2014 to present, he has received more than 700 000 GEL in remuneration as a member of the GNCC. What academic degree does Kakha Bekauri hold? Kakha Bekauri studied at the Tbilisi State University (TSU) in 1986-1992. According to the diploma issued by the TSU, Bekauri graduated from the Faculty of Cybernetics and Applied Mathematics and was conferred the academic specialization in applied mathematics and special optimization and optimal management. The National Center for Educational Quality Enhancement did not have information on programs from 1986-1992, thus we addressed the TSU and asked them to verify if the requirements set by the law were met. According to information provided by the TSU, the specialist degree in mathematics issued in 1992 is equal to the master's degree, however it does not in any form meet the academic qualification requirements stipulated in the law, namely to a degree in economics, public administration, business administration, law, electronic communications or journalism. According to the notice on the candidacy of the GNCC membership sent by the President to the Parliament, Bekauri graduated from the European School of Management (ESM) in 1994 with a management specialisation. However, information provided by ESM’s legal successor Free University states that the study program completed by Bekauri is a 9-month retraining course. This study program is not equivalent of an academic degree. The graduates of the course received only certificates from the ESM. The law stipulates requirements for both academic qualifications and professional work experience. Thus regardless of the fact that Bekauri has a long track record of working in media outlets, he still doesn’t meet the academic requirements set forth by the law. The rules for electing the members of the GNCC are regulated by the Law of Georgia on Broadcasting. According to the law, the President of Georgia, taking into account the qualification requirements determined by this Law, agrees with the Government of Georgia on the list of candidates to be submitted to the Parliament of Georgia for election. The President of Georgia and the Government of Georgia selects at least three candidates for each vacant position. The agreement upon the list of candidates between the President of Georgia and the Government of Georgia is countersigned by the Prime Minister of Georgia, after which the President of Georgia submits the candidates to the Parliament of Georgia. A candidate nominated for a vacant position of a member of the Commission shall be deemed elected if he/she receives more votes than other candidates, but at least half of the votes of the members of the Parliament of Georgia on the current nominal list. As we have already noted, Kakha Bekauri was elected as a member of the GNCC with the participation of the Parliament and Government of Georgia. Due to this, it can be argued that the Administration of the President did not verify whether Bekauri’s diploma was in line with the requirements set forth by the law. Moreover, the Government approved the selection without looking into the candidate’s potential lack of necessary qualifications. Notably, the Administration of the President sent Bekauri’s biography to the Parliament without actually holding any physical proof that Bekauri had indeed graduated with a degree in management. It is also important to note that the respective parliamentary committee hadn’t fulfilled its legal obligation to look into the compatibility of the qualifications of the candidate. The candidate suggested by the President was discussed at the committee hearing, including the biography of the candidate, but the protocol of the committee hearing shows that the committee supported presenting the candidacy of Kakha Bekauri to the plenary session. In this course of events and the absence of studying the required academic qualifications, Kakha Bekauri was elected with 83 votes as a member of GNCC. Each branch of the government has the responsibility to select members of the GNCC. As it is evident by the documentation, no institutional body has verified or looked into the compatibility of the candidate’s academic credentials with the requirements stipulated in the law. This is troubling, especially given the fact that publications in the online media have numerously pointed to this incompatibility. Documentation at hand points to the incompatibility of Kakha Bekauri’s academic qualifications with the criteria stipulated by the law as obligatory for holding the position of Chairperson of the GNCC. This should be sufficient for Kakha Bekauri to voluntarily resign as the Chairperson of the GNCC. It is critically important for persons with respective qualifications to work at the GNCC, which is responsible for meeting the requirements stipulated in the legislation on broadcasting and telecommunications, conducting oversight and imposing sanctions in case of violations. In the absence of a required academic degree, Bekauri has already served four years out of his six-year term. Notably, Georgian legislation does not envisage an impeachment procedure nor a verification procedure through the court system. To avoid such cases in the future, it is thus recommended for the aforementioned violation to constitute grounds for impeachment. It is also important to analyze why the different branches of the government, as it is required by the law, did not look into and verify the academic credentials of Kakha Bekauri.